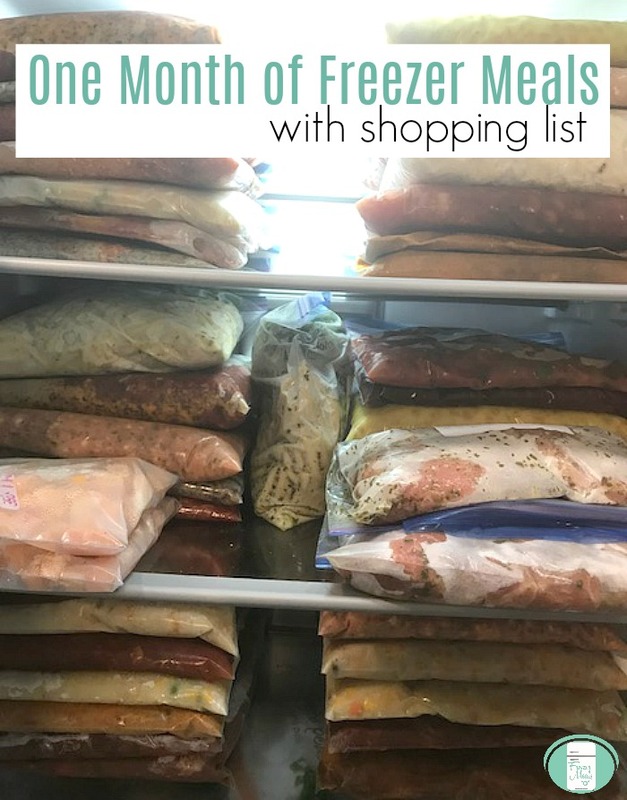 This list of one month of freezer meals provides everything you could want. It gives variety in terms of proteins, cooking methods and tastes. The recipes include meals for the crock pot, the Instant Pot, the skillet and the oven. The reason I like to make-ahead meals with different cooking methods is that I can then choose which freezer meal to pull out in the morning based on what our day will look like. If we will be out all day, then putting something in the slow cooker may be the best option, whereas if one of the kids has a sports event that evening, we can use a skillet recipe that will be ready to eat in 20 minutes or less. If you’re new to freezer cooking, you’ll want to read this ESSENTIAL START UP GUIDE. Once you’ve got the basics down, dig in and get started! These easy freezer meals make meal prep simple. 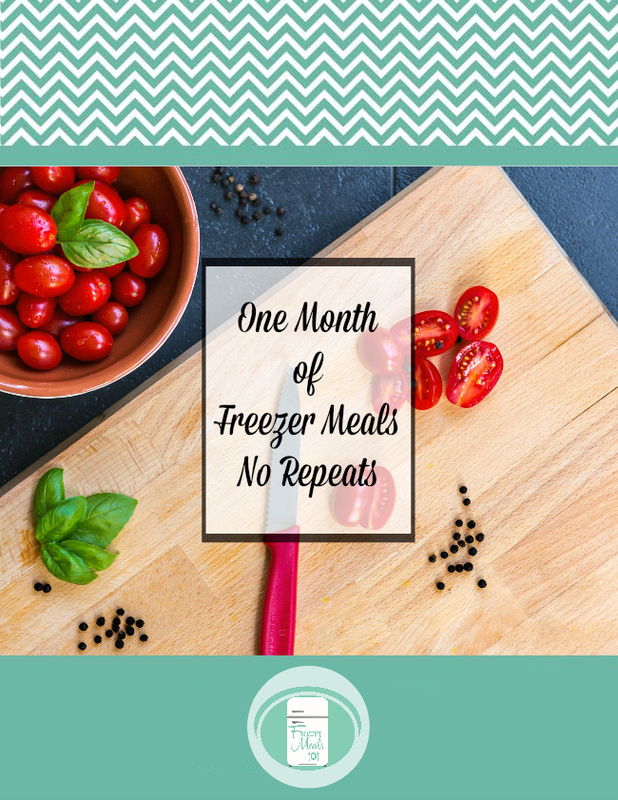 Of course, I would suggest that you actually double each of these recipes so that you can get two month’s worth of meals in your freezer instead of one month. I can’t even describe the feeling of standing back and admiring your full freezer, of knowing that you won’t have to think about supper again for at least a month! It’s one of my favourite things. After I finish a freezer meal marathon, I sneak over and open my freezer to take a peek for days. It always puts a smile on my face. In my Freezer Meals 101 group on Facebook, one of the topics that comes up the most often is about choosing the recipes for freezer meals. People often find it overwhelming to choose recipes and make shopping lists, particularly when they are first starting. With that in mind, I wanted to provide you with a month’s worth of freezer meals to take the guesswork out of preparing. I’ve included links to each one of the 30 recipes as well as a printable shopping list. The shopping list includes everything you need to make one of each of the recipes. Remember to double the quantities on the shopping list if you are going to be doubling the recipes to end up with 60 meals. Get your printable shopping list for all the ingredients for these 30 recipes.